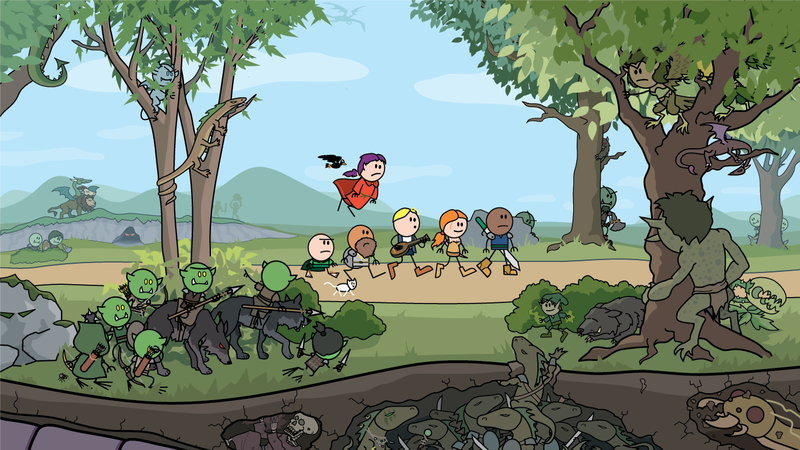 The Order of the Stick returns in the second volume of the long-running comic series, bringing a double dose of fantasy-comedy stick figure adventure. The story begun in Dungeon Crawlin' Fools continues, along with more than a dozen bonus strips, heaping dollops of author commentary, and more! Available for the first time in downloadable PDF format, this Digital Edition features updated lettering and vector-scalable art files that stay as smooth as a bard's best pick-up line no matter how much you zoom in. And just like last time, peer into the murky depths of history with Still No Cure in Sight, a series of observations from 2016 about what was going on back in 2006, when this book was first published.